If the water coming out of your RO faucet seems to be slower than normal, or slower than you think it should be, here are five reasons that can cause slow flow rates. Clogged RO Filters: If you forget to change your water filters, with time your system will produce less and less water. Clogged or fouled water filters is the most common cause for a slow-filling RO tank. Trying to fill your tank with a fouled membrane may take 4-6 hours, rather than the usual 2-4 hours. Replace your filters on time to avoid this issue. 7 to 8 psi without any water in the tank. To check your pressure, locate the Schrader valve, typically covered by a blue plastic cap, on the side of the tank near the bottom. After removing all the water from the tank, use a low pressure gauge to determine the pressure in the tank. If low, add air with a pump until you have 7-8 psi. Be careful to only add a small amount of air at a time, as too much pressure can rupture the air bladder. Ruptured RO Tank Bladder: If you only get about 8 ounces (one cup) of water out of your RO faucet at normal water pressure, and then the water immediately trickles down to a very small stream, this typically is a sign the air bladder in the storage tank as ruptured. Unfortunately the air bladder cannot be repaired and the only way to resolve the issue is to replace the storage tank. Replacement tanks can be found here. Kink in water line: Make sure there are not any kinks in the water line, which would slow water production. And while you're inspecting your system, double check that the water supply line valve is in the fully open position. Temporary Loss of Water Pressure: You may have temporary loss of water pressure. An RO system needs a minimum of 40 psi to operate properly, but preferably 60 psi. If all of your household faucets seem to have low water pressure, it may be that your local water utility company is temporarily flowing as lower pressure. Often, higher water pressure will return if you wait a bit.  If higher water pressure does not resume, report the issue to your local water utility company. If none of the above seem to be the issue, consult our troubleshooting guide or call a water treatment specialist in your area. For products purchased through espwaterproducts.com, customer support is available Monday through Friday 8 am to 5 pm (CST) at 877-377-9876. Have your customer or invoice number ready.